What is a stroke? Do you know why the Chinese characters are written as these forms? See the stories below and learn more. What are the Chinese Characters? Chinese people read and write characters (not pinyin) in their daily life. Characters are originated from pictures, symbols and ideas. You can find interesting stories behind each character. For example, 日( sun) comes from the picture of the sun, 月(moon) from moon , and 明 is the combination of the sun and the moon. So the meaning of 明 is bright. What are the Stroke Orders? Characters are formed by strokes. Stroke is the beginning and ending of the movement of a pen. There is a fixed sequence of the strokes when composing a Chinese character. It is important to follow the stroke order when you write Chinese. Experience tells us you can remember much better if you write characters in the right stroke order. You can find an online Chinese dictionary here. If you type English or pinyin, your computer will find the Chinese characters and read them for you. How to start? 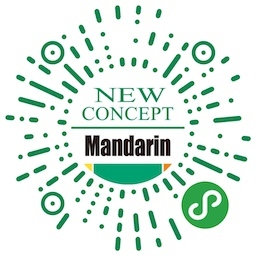 Scan the QR code via WeChat or search “MandarinFlashCard” in WeChat-Discover-Mini Programs.